Had Mumbai been a word, it would have been the perfect example of an oxymoron with the two contradictory lifestyles led by its people. While Mumbai is the richest Indian city with the highest number of millionaires and billionaires, it is also home to country’s largest slum population of 5.2 million (as per Census 2011). The city’s skyline is dominated by over 3000 high-rise residential buildings; yet nearly half of its total population of 12.44 million still live in tightly-packed shanties with no access to something as basic as toilets. 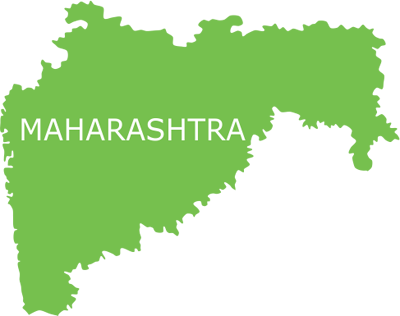 Mass migration has been difficult for Mumbai to absorb primarily because of its peculiar geography and scarcity of land, but more so due to lack of infrastructure facilities and unaffordable housing for economically weaker communities. With limited access to civic amenities, around 1 million slums across Mumbai are characterised by unhygienic, squalid and overcrowded conditions that pose a major threat to their inhabitants’ health. Open defecation, poor drainage system and unsafe drinking water are the root cause of diseases like diarrhoea, scabies, worm infestation, dysentery, malaria, typhoid, dengue and skin infection prevalent in these slums and squatter settlements. Most of the slum residents work as daily wage labourers, housemaids and Naka workers (informal labourers picked by contractors) and can barely make the ends meet, let alone spend money on healthcare measures. For improving the lives of people in Mumbai slums and providing them free-of-cost medical care services, Smile Foundation has partnered with Deutsche Bank. 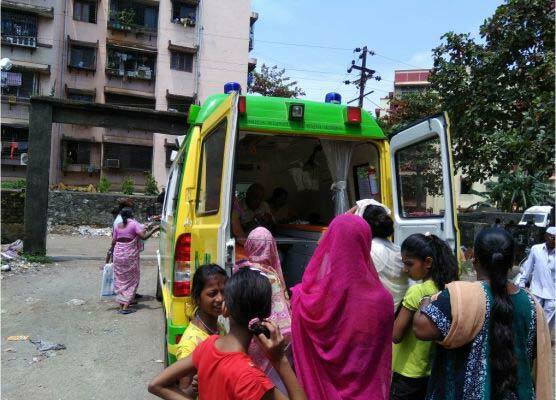 Under this intervention, a Smile on Wheels mobile hospital unit is deployed in 10 slum areas across the city including Waldhuni, Netiwali, Kate Manavali, Tisgaon Naka, Kolsewadi and Ambedkar Nagar. Home to a population of 5 lakh, these slum colonies lack basic civic amenities like sewage & sanitation, safe drinking water and drainage and hence, are a hotbed of communicable and vector borne diseases. Through Smile on Wheels, Smile Foundation brings primary healthcare services at the doorstep of impoverished families and children living in these areas. A team of Doctor, Nurse, Pharmacist and Lab Technician are present in the vehicle for medical consultation, diagnosis, lab tests and medicine distribution. There is also a Community Mobilizer on board who spreads awareness on basic healthcare, hygiene and nutrition through group discussions, workshops, streets plays and other IEC activities. Special sessions are arranged to educate pregnant and lactating women on healthy diet, maternal and infant nutrition, ANC/PNC, breastfeeding, and immunization. Referral services are also offered to bridge the gap between the community and the government. At least 5 lakh beneficiaries to be reached directly within a year. Regular OPDs conducted in ten slums for health check-ups, lab tests and distribution of free medicines. Community meetings, school health programmes and IEC activities conducted to foster health-seeking behaviour among families and children. Pregnant women, ‘being the high-risk’ group, are given detailed workshops on maternal and infant nutrition, ANC/PNC, immunization and other related issues. Patients with serious threats to health referred to government or charitable hospitals. 60 pathological tests were conducted so far.